← Survey: Are You Thinking Outside the Triangle? The Continuing Education Compliance Committee (CECC) has completed the 2014 Continuing Education review and is happy to report that all members selected for review either met or exceeded the requirements! This year, about 1% of membership was randomly selected for review, which is about 70 members. The members of the Executive Council and Board of Directors are also required to participate in the review. The CECC has been working hard on establishing consistent guidelines for the review itself. 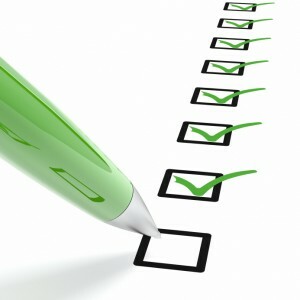 Members that are selected for review should provide clear, organized and adequate information. When submitting compliance records, members should include a brief description for each meeting, session, webinar, etc. that was attended. The more information that is provided up front is better for the entire process. Keep a look out for an article in the January/February issue of the Actuarial Review that details guidelines established by the CECC. Are you a member that has been selected for review? What was your experience with the process? Do you have ideas you would like to share with the CECC? If so, please contact Volunteer and Committee Coordinator, Catie Amsden, at the CAS office.